This cast iron wall plaque celebrates the famous Castrol Motor Oil brand. 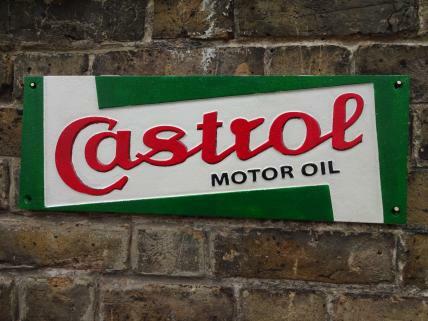 The red, green and white colour scheme in this garage sign has been in use by Castrol Motor Oil since the brand was launched in 1909. This is a lovely piece of reproduction automobilia - and will add a little bit of motoring heritage to any garage, workshop or office wall.